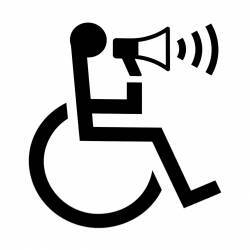 "Interestingly, from an identity standpoint, what does it mean to have a disability? Pamela Anderson has more prosthetic in her body than I do and nobody calls her disabled." "One always overcompensates for disabilities. I'm thinking of having my entire body surgically removed." "I have Attention Deficit Disor...Hey! What's that?! Can I play with it?" "I choose not to place "DIS", in my ability." "Limitations only go so far"
"I have a Disability yes thats true, but all that really means is I may have to take a slightly different path than you"
101 Mobility serves the Chicago Area with quality mobility products including stair lifts, patient lifts, auto lifts, vertical platform lifts, commercial lifts, and ramps. Immediate installation available in most cases. Ask about long or short term rentals. A Place for Mom was founded 15 years ago to help families navigate the maze of senior housing options. Since then, A Place for Mom has grown to become the largest senior living referral service in the U.S. and Canada. Although our company name focuses on "mom," we help dad too! As well as uncles, aunts, brothers and sisters - anyone who is faced with finding the best senior living options for their loved ones. Accessible travel information for disabled travelers: AbilityTrip is a centralized resource for travel information – a travel guide – for the community of disabled travelers and their companions. Each week Sue Zawacki interviews expert guests and explores healthy aging, aging in place, elder care, boomer & senior lifestyles, retirement communities, wealth at retirement and related topics. She is passionate about keeping others moving forward while connecting them to help one another with education and resources. The Alzheimer’s Association is the largest voluntary health organization dedicated to finding prevention methods, treatments and cure for Alzheimer’s. Since 1980, the donor-supported, nonprofit has provided reliable information and care consultation; created supportive services for families; increased funding for dementia research; and influenced public policy changes. The Greater Illinois Chapter serves 68 counties. The Autism Society of Illinois (ASI) is a 501©3, “Boots on the Ground” organization and a one of the Top Ten Autism Society of America Chapters. For over 37 years, the Autism Society of Illinois’ mission is to empower individuals, families and the community impacted by autism spectrum disorders. Welcome to Bridgeway Christian Village, another quality Christian Homes' community. Nestled in a quiet residential neighborhood on 26 acres of beautiful property, this campus houses 13 garden homes and a 127 independent living apartments and 42 assisted living apartment complex known as Bridgeway of Bensenville, as well as a 190-bed skilled nursing and rehabilitation center. At Companion Services of America our mission is to ease the burden and give peace of mind to our families by providing quality personal home care services for your loved ones as well as respite care for family members. The Internet portal for people with disabilities and special needs. Elderwerks is the most knowledgeable senior housing and care referral service in Illinois. We partner with hundreds of options and only refer seniors to communities and providers based on their needs, wants and requirements. We also provide CE’s for nurses, social workers and nursing home administrators. Our 300 page Elderwerks Senior Directory is the most complex in the state and used by senior providers and services. Since 1991, Extended Home Living Services (EHLS) has helped thousands of people successfully remain in their homes by creating accessible, barrier-free environments. We specialize in designing and implementing plans that customize homes to accommodate the effects of age, accident or disability. Our services include: Wheelchair Ramps & Lifts, Stairlifts, Accessible Bathrooms and Home Modifications. Four Daughters Real Estate provides residential real estate solutions for seniors and their families, guardianships, corporate trustees and assisted living facilities. Although our expertise is in providing real estate services, real estate is simply a vehicle for us to assist families with reaching their goals, solving life's challenges, and being able to contribute with what we know best. FGA is a non-profit, charitable 501 (C) (3) organization that is dedicated to bringing joy and a sense of freedom to the special needs community through their inclusion in the game of golf. The mission of Hands with a Heart Solutions is straightforward: When the tasks of life are overwhelming because of time or emotional constraints, we bring you extra hands. Our compassion gets you through this period of time. We help with all tasks, no matter the size - nothing you ask from us is too big or too small. H.O.M.E. helps low-income seniors maintain their independence by providing home upkeep and repair, a shopping bus and affordable housing. 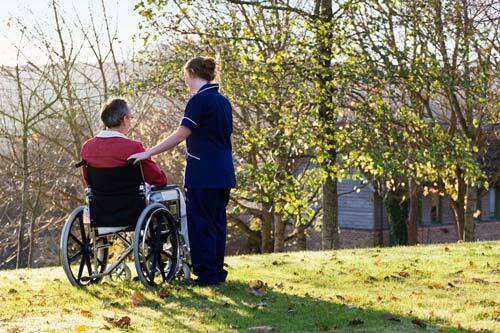 Our staff is dedicated to deliver excellent service and commitment to our clients home care needs. We are customer focused, promoting a sense of security, independence and well-being. HCS Family Services is a compassionate not-for-profit organization which has been serving the residents of Southeast DuPage County since 1937. Resource guide put together to offer assistance to those traveling on a cruise with a disability or if traveling with someone with special requirements. Reverse mortgage experts helping seniors finance retirement with cash-flow options. Contact Kandice Jacobs 708-236-5902. At Interim HealthCare we understand how important it is to have someone you can depend on when you or someone you love wants to stay at home to maintain the highest level of health and independence. Our mission is to improve people’s lives and that is what we do every day. From rollators to wheelchairs Just Walkers is a provider of premium products for all who are looking for the best mobility products for the lowest price. We understand the importance of choosing the perfect walking aid to fit your needs. With this in mind, we offer only the best mobility products, parts, and accessories including information to help in the decision making process. With a long history of working with seniors and people with special needs, combined with her education in interior design and fine arts, Leslie Markman-Stern offers a holistic approach to creating a safe environment that is both aesthetically pleasing and functional. Help and hope for people with Lou Gehrig’s disease. 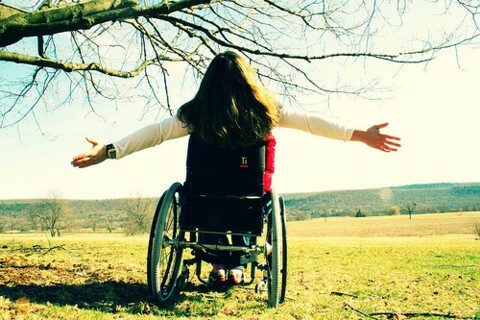 mobileWOMEN.org is the creation of women in wheelchairs who were having difficulty finding answers to their questions about health, fashion, and other topics. Their mission is to bring together current and accurate information on issues of interest to their community. Our mission is to consistently exceed our patient expectations by providing the most professional, comprehensive, courteous and immediate home health care services available anywhere! Social Security Disability law is all we do at Nash Disability, and our disability lawyers have helped more people in the Chicago metro area win benefits than any other law firm in Chicago. The Chicago Chapter of NAPO provides hands-on help to those who want their lives to be better organized. We have many members who are experienced helping seniors and those with mobility challenges to simplify and declutter their environments, which greatly improves safety and quality of life. The Council was formed to promote standards of excellence in dementia and Alzheimer's Disease education to professionals and other caregivers who provide services to dementia clients. NHU provides individuals with disabilities and their family / caregivers, information on resources and programs that can improve their lives. Through their comprehensive website, personal information, referrals and guides they assist individuals with disabilities facing unique problems to locate available resources and programs and solve major common problems faced by many, such as housing, employment, live-in aides, financial planning, etc. NWSRA provides over 2,000 recreational programs annually for individuals with disabilities of all ages in the northwest suburbs of Chicago. Programs include athletics, day camps, cultural arts, fitness, trips, special events and more. Nursing Home Abuse Center is an online resource with resources about nursing home abuse and elder abuse for both seniors and their loved ones. World-class doctors and nurses committed to providing state-of-the-art treatment, innovative clinical trial options and compassionate care in the heart of Chicago are just a few reasons to choose the Lurie Cancer Center. The Supportive Oncology Program provides emotional and practical support for patients and their families during all stages of treatment and recovery. Our complimentary services are designed to assist you in finding the BEST senior living options for your loved ones in the Chicagoland area. 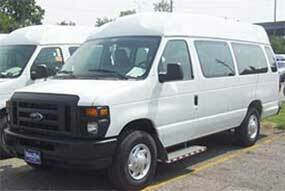 Toll Free: 877.687.0450. Seniorresource.com serves as a focal point for senior citizens to learn about needed facilities and services. The website is such that both seniors and their caregivers can easily explore the site and find the needed information. SASI supports the efforts of older adults to remain in their home. We can provide that extra help that makes all the difference for you and your family. SASI provides home care assistance in Chicago and the North and Northwest Suburbs. Spinal Cord Injury Association of Illinois is a 501(c)3 non-profit organization providing information and support resources for people paralyzed by trauma and medical conditions, family members, and health care and related professionals that serve the SCI community. The office is located in LaGrange, IL, a suburb of Chicago, but the entire state is served. Strohschein Law Group LLC is a boutique law firm focusing on Estate and Long Term Care Planning, including Veteran’s Benefits and Medicaid, Guardianship, Estate and Trust Administration and Probate Litigation. Our multidisciplinary team of experienced professionals help families deal with sensitive family situations with the experience you require and the compassions you will appreciate. The SandPad is a revolutionary new ambulatory aid that allows crutch users the ability to use their crutches or canes at beaches without sinking into the sand. Don't let the sand prohibit you from beach mobility again, the SandPad makes beaches accessible again for the handiCAPABLE! If your parent, spouse or loved one needs help, make your first call to Wisdom. You'll immediately understand why our unsurpassed knowledge of the needs of older adults makes us the choice for one-to-one care. 630-530-2868. Z Reverse Mortgage is a free informational resource providing honest guidance to seniors and their families on the reverse mortgage process. Wheelchair and ambulatory accessible transportation throughout the Chicago metropolitan area that is safe, reliable, courteous and affordable.